"Released as an edition to the art exhibition "Save Your Work" by AA Records (Nate Young of Wolf Eyes & Alivia Zivich) at Spedition, Bremen, Germany, April 16 to May 17, 2009. 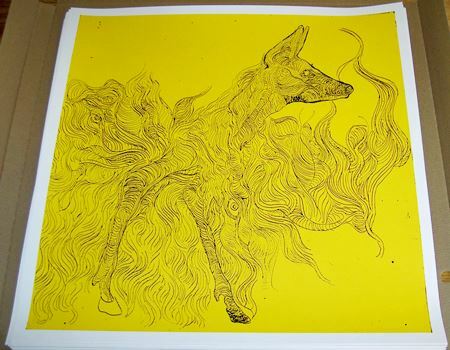 The artwork was taken from a high resolution scan of an original etching by Nate Young. 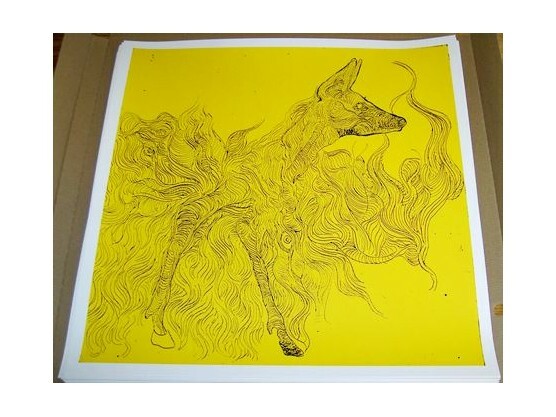 Yellow/black silkscreen print on white Munken cardboard stock. Signed and numbered by Nate Young and Alivia Zivch. Size: 50x50cm. Limited edition of 30."